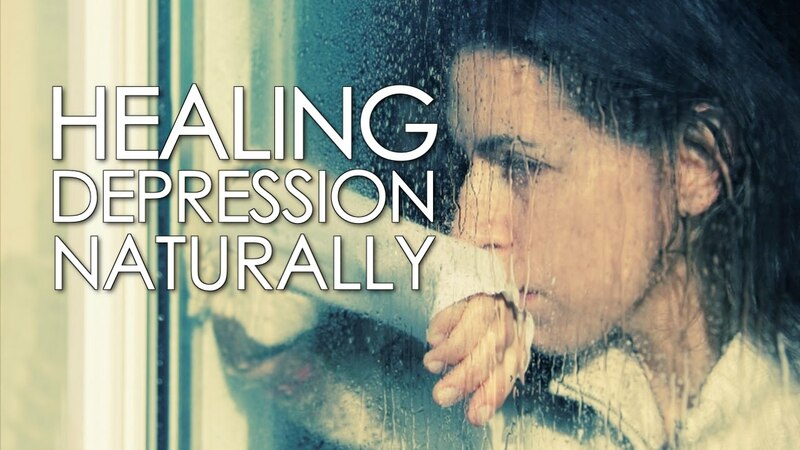 How to treat depression from it’s root causes using a sustainable, holistic, natural and effective way. Today I’d like to talk about depression, specifically how to treat depression by working from the root causes and using a holistic and natural approach to heal from the inside out. As we know, depression is often treated with antidepressants, but many antidepressants can cause weight gain. Which is no help with depressions, because if you’re already depressed and you’re gaining weight it only makes it worse. With that being said, never go against your doctor’s advice. If your doctor is telling you to take antidepressants, take them, but I suggest you work with your doctor to see if over time by following the tips I’ve outlined below, you can start to wean yourself off of those antidepressants. Diet sweeteners, especially aspartame, have been found to cause bipolar disease and cause depression because they act as excitotoxins to the neurons in your brain and that can create an imbalance in your neurotransmitters which can lead to depression and bipolar disease. Look for natural sweeteners instead, such as stevia, raw honey, maple syrup raw coconut palm sugar or whenever possible try and sweeten things with fruit instead of diet sweeteners. 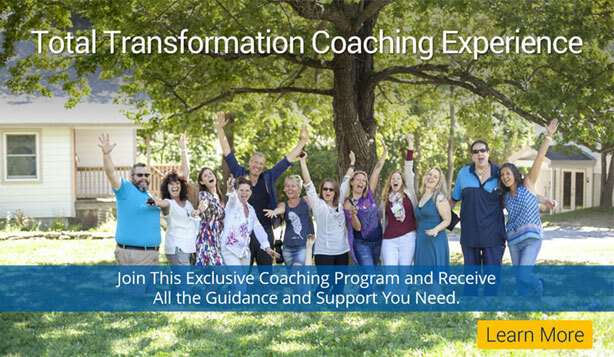 Past traumas in your life can cause current depression, here at The Gabriel Method we use different techniques for healing emotional trauma. One approach is through visualization, I created a visualization specifically to help work through emotional trauma called Releasing Emotional Trauma. Another technique we use is Meridian Tapping where we find specific points in our bodies to tap (using our fingers) to stimulate our bodies energy system and release negative energy. We also use Cellular Release Therapy, where a therapist will walk your subconscious through a series of questions to help release the effects of deep past trauma and pain. When there is too much stress in your life, you become overwhelmed and that can cause depression and bipolar symptoms as well. Some of the techniques you can use to help reduce and eliminate stress include: meditation, yoga, Qigong, and tai chi. Meditation is particularly effective because meditation has been known to inhibit the signals to and from a part of your brain called the amygdala, which causes stress, fear and aggression. Meditation also activates parts of your brain that are in charge of feelings of love, safety and security. Meditation is one of the best things you can do for treating depression naturally. Having healthy fats is really great for treating depression. Specifically omega-3 fatty acids, ghee organic butter, avocado, and cold-pressed coconut oil. These are all healthy fats that help the brain. The brain is 60% fat. If you eat the wrong kind of fat, such as refined vegetable oils, your neurotransmitters and your brain cells don’t work well, causing an imbalance which can lead to depression. Incorporating healthy fats into your diet is a great way to heal your brain. Our digestive tract has it’s own type of mini brain with over 100,000,000 different neurons that activate different neurotransmitters. For example, your intestines produce serotonin so rather than taking a serotonin re-uptake inhibitor (Antidepressant) to increase the serotonin in your brain you could have a healthy gut producing serotonin which will carry into your bloodstream and into your brain. But again, make sure to consult with your doctor and discuss the importance of having a healthy gut to help heal the neurotransmitters in your body that will heal your brain. Getting into your body and out of your head is a great way to help you feel better. When we exercise we produce natural happy hormones called “endorphins. So try to be active as often as you can. Walk barefoot on the grass, swim in the ocean, play tennis, be physical in way that makes you feel good and in turn helps produce the feel-good hormones that increase happiness and reduce depression. As much as possible, be in nature, nature is soothing and has its own type of vibration that’s a healing vibration. Be in the sun, the grass, get grounded to nature. When you’ve got lots of concerns in your life where you’re not doing what you’re meant to be doing or you’re not living the life you’re meant to be living, that can cause a lot of stress and depression. You can utilize the tool of visualization, to help improve your life by imagining your most perfect ideal life, your ideal career, your ideal relationship, your ideal body. If you practice this every morning, you will start focusing your mind towards success in those areas. Taking strides to make progress in your life, will give you a resurgence of energy and enthusiasm, so that your life will start to flow better and you’ll create a positive momentum. 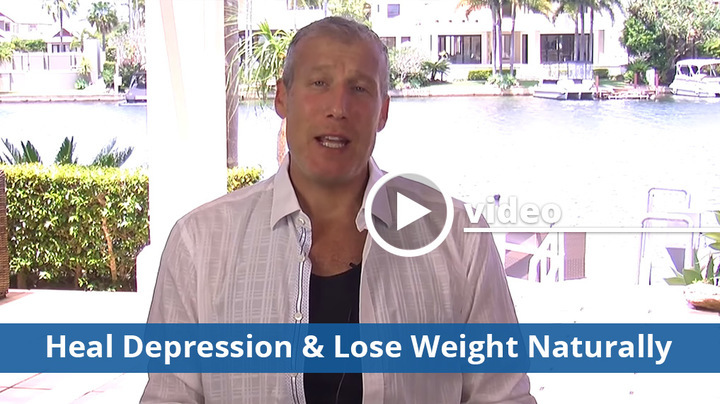 All of these natural approaches are different ways you can start to heal depression from the root cause. And in turn will help you not only heal your depression but also lose weight and hopefully be able to get you off antidepressants. Give these strategies a try and you’ll start to feel so much healthier, happier, have a better life, body and mind.